If you’d been strolling around downtown Manhattan in 1962, you might have seen artists Yayoi Kusama and Donald Judd lugging an oversized armchair down the block. That piece of found furniture would become the base for one of Kusama’s first and most iconic sculptures: Accumulation No. 1. (1962), a hulking form coated in stuffed, phallus-shaped accretions. The work has become a paragon of Pop Art and a highlight of Kusama’s recent blockbuster retrospectives. It also represents a more subtle force in Kusama’s practice—her friendship with the Minimalist pioneer Judd. This relationship provides the inspiration for a new show of Kusama’s paintings at the Judd Foundation’s 101 Spring Street space in Manhattan. The exhibition itself is spare—four of Kusama’s abstract canvases hang elegantly on the ground floor of the building, which was Judd’s home and studio for many years, and now operates an archive and museum. But it opens up a rich subject that’s been largely overlooked by scholarship exploring 1960s New York art: Kusama and Judd’s influence on one another. 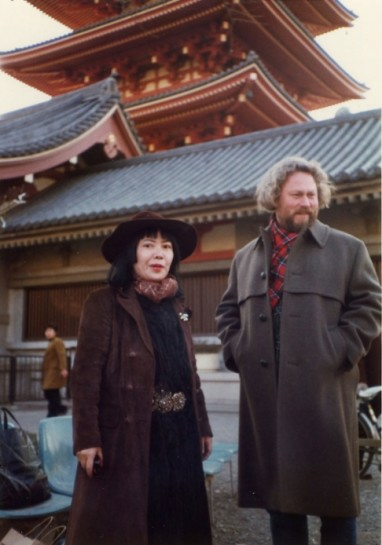 Image: Yayoi Kusama and Donald Judd in Japan, 1978. © Judd Foundation. Courtesy of the Judd Foundation.